Well, I’ve been worried for some time that the wheels were coming off. The past few days seems to confirm it. Spent two days combing the house and car for my wallet, and eventually admitted defeat and cancelled all my cards, which I can’t replace until we get back to England at the end of July unless someone comes out for a quick break and brings them with them. The following morning I picked up the box of tissues in the car and noticed it felt a bit heavy. Lo and behold, my wallet was in the box, right at the bottom beneath the tissues. Too late to be any use. However, the worrying thing is that there is no way that they could have got there accidentally. I must have hidden it there at some time in the previous three days when I got out of the car, but I have no recollection whatsoever of having done so. Add to that the sudden reappearance of Ann’s keys six weeks after they disappeared and the spare set of house keys turning up in Jan’s handbag in London long after we had given up on them, and it becomes obvious that we are in urgent need of more mental stimulation and less vino tinto! We have made some firm decisions in the past couple of days, and have decided to come back to this house from 1st October 2014 until the end of March 2015 (if we can remember the way). It is by no means luxurious, but the landlady has promised to make a few improvements, we have wifi set up here and we can store stuff over the summer, so all in all it will save us some hassle. Really looking forward to getting on the road again soon, but have one more concert on 2nd May and a visit to John Wakefield in Mula to look forward to before we go. All the best, Andy. Mucho estresado ahora! As we are hitting the road shortly we wanted to get the car thoroughly serviced, which needed paying for. No sign of my wallet which contained all my debit and credit cards, and which I hadn´t used for a week. No sign of the accounts being used either, so presumably it has fallen out of my pocket somewhere. 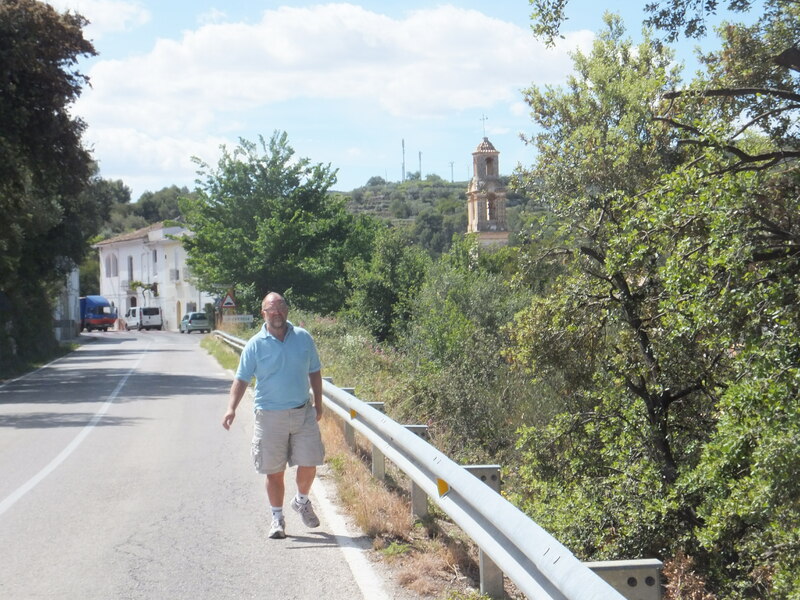 We turned out every room in the house, every cupboard, drawer and piece of furniture, but still no sign of it, so I have had to cancel all my cards which can´t be replaced until we return to England. 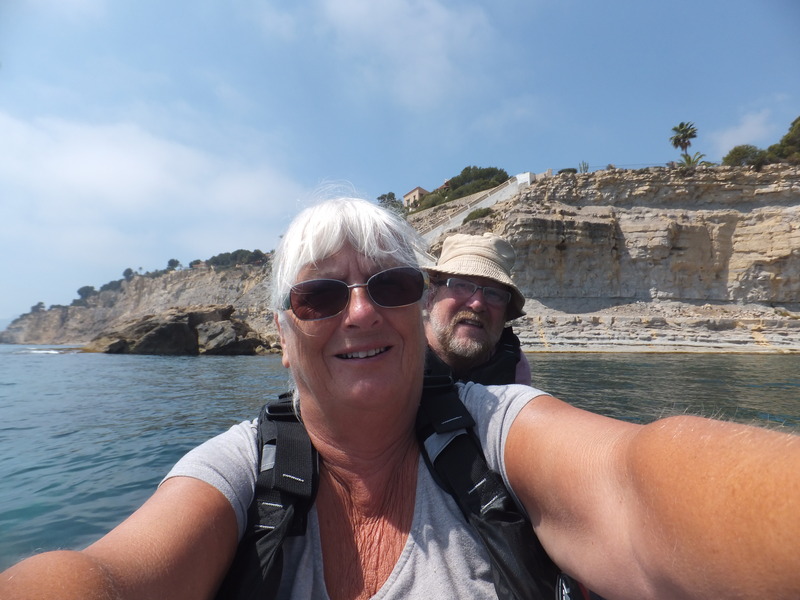 Trying to look on the bright side, the house has never been cleaner and Ann will be forced to get her brain working on full power again so that she doesn´t lose hers as well, leaving us stranded in a foreign land without funds! The other bonus was that we virtually stripped the inside of the car to bare metal, and in the process found Ann´s bunch of keys carefully tucked into a hidden pocket behind the driver´s seat. I wonder how they got there? A certain nameless young man with a bit of previous in the key hiding department happened to be sitting in the seat nearest to this pocket on the way back from the Verd y Vent a few weeks ago, which was the last time we saw them, but we both feel sure that this is pure coincidence. Hmm. 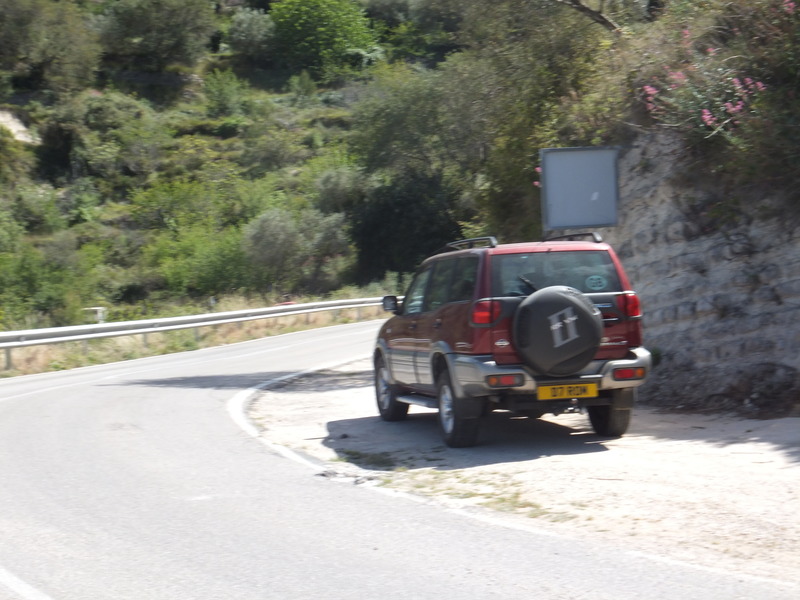 Incidentally, the garage worked on the car for six hours solid and charged us twenty Euros for labour with parts at cost. I don’t understand the economics of that at all. 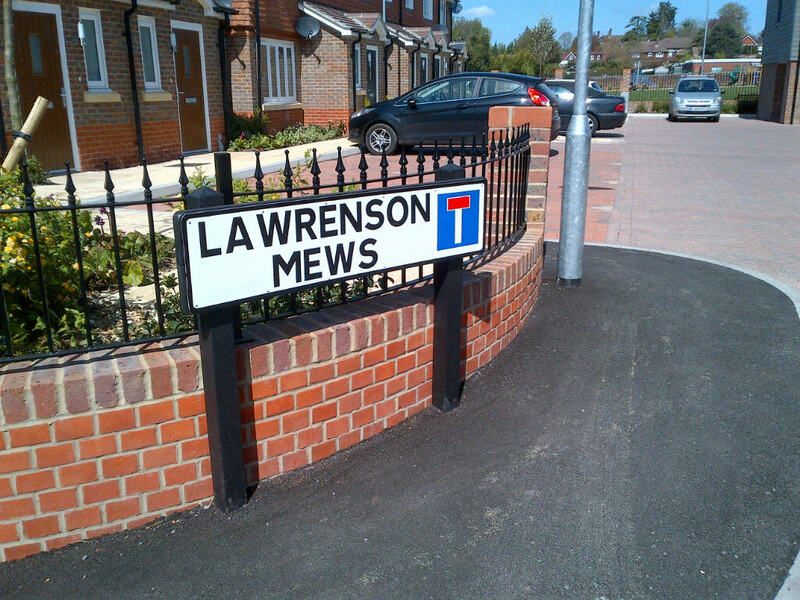 Delighted to see Lawrenson Mews in Billingshurst. This is not the first time a family member has had a road named after them. George Morth, who was a builder in Horsham and was my great great great great grandfather had Morth Gardens which are off the Causeway near the museum named after him. There are three lovely and completely original Georgian cottages still there which he built for his three daughters. Bet everyone really wanted to know that! I expect Wakefield was named after a distant relative as well! 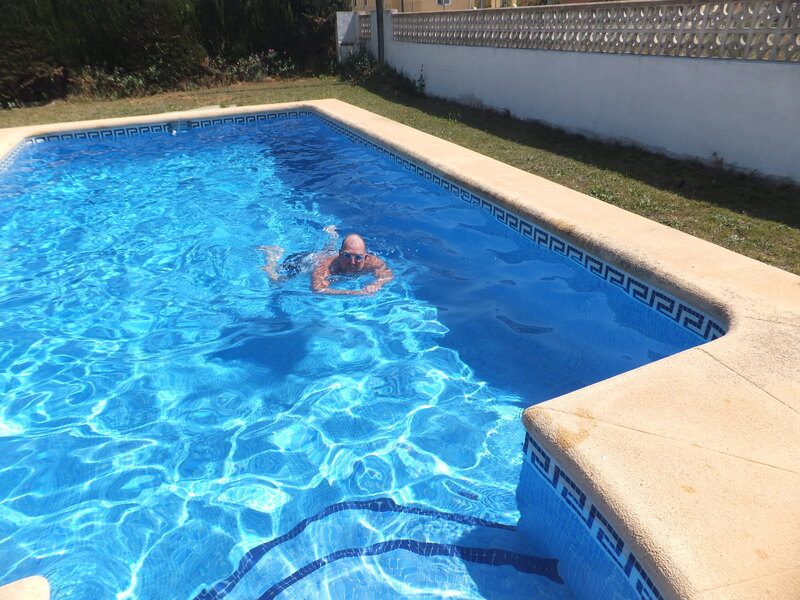 Weather is still lovely and we are swimming several times a day, when we can be bothered to rouse ourselves from a state of torpor. 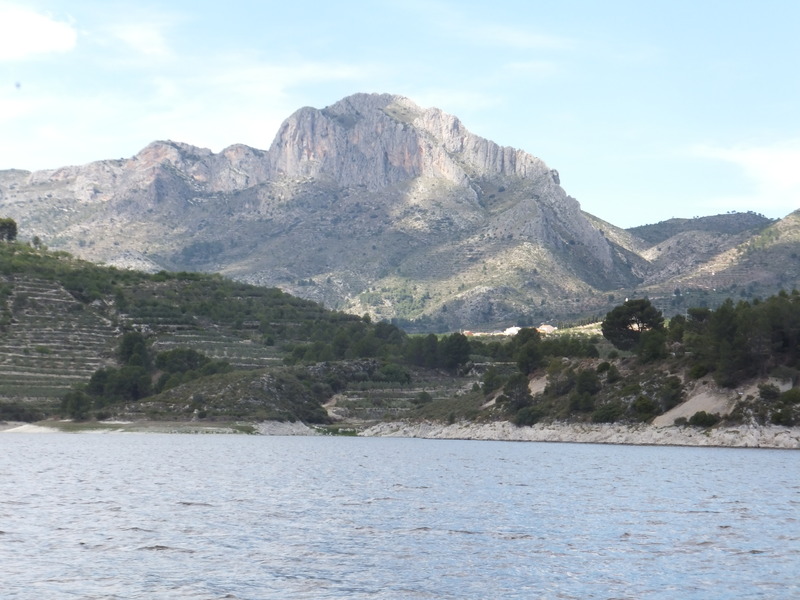 Ann has just completed a really good big picture of the mountains near Granada. I will get her to post it in her Art file. I am chipping away at a very large monster which I’m hoping to finish before we move on. It’s quite hard on the hands using a hammer and chisel all day, but good to be doing something physical. We are leaving here on 18th May, so if anyone fancies a quick break in the next three weeks get in touch asap. We would love to have guests. Hi All, we are still lazing our way through the sunny days and balmy evenings, eating and drinking too much and generally being thoroughly self-indulgent. We have both been painting today, and I have produced another monster to add to the collection. My last brain cell gave up the ghost the day before yesterday when I went to get something from the car and left the keys in it all night with the ignition switched on. Result, one totally flat battery, so I hoisted it out and put it on charge, only to find that the new charger that I had bought just before we left England didn’t work. Had to borrow one from next door, which was beneficial because I now know what a cargador de batterias is. Apart from that, a day out became a day in, which was a bit of a pain. I think Ann mentioned that the choir I sing in gave a concert of religious and sacred music at Benitaxell Church on 12th April. Some of the songs are now on Youtube. 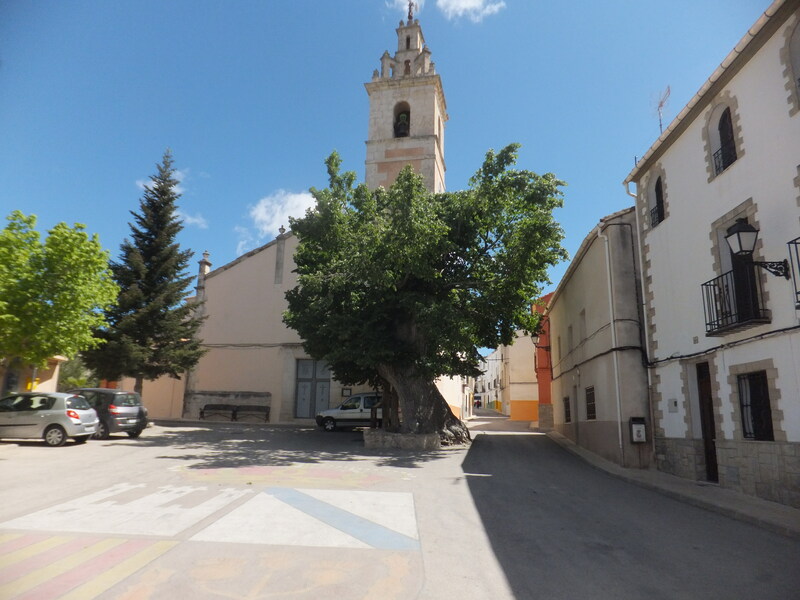 If you go to the youtube site and type in Costa Blanca Male Voice Choir, then go to the second page of results and click on the videos posted by Howard Westcott there are about six songs there. We don’t sound at all bad, particularly if you put it through a decent speaker, and at least you will be treated to the almost unheard of sight of a Lawrenson singing enthusiastically in a Catholic church! We are both missing the grandchildren a lot at present. The end of July seems a long time away, and they grow up so fast. Hoping to catch them on Skype this evening. Happy Easter to All. How about this? This road has been named after the Lawrenson family who ran a concrete block manufacturing business on the site in Billingshurst West Sussex in the 70’s. John (Andy’s dad) would have been proud! 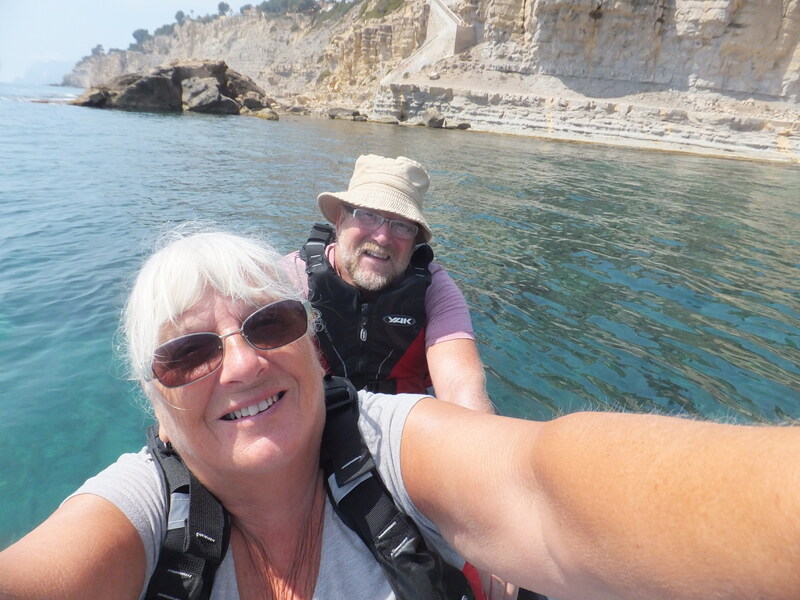 These selfies are taken in our canoe! We had a great day in Moriara with the canoe and then chilled out in the pool at home. After that I had a Spanish lesson but didn’t learn much. Then a nice drink in a little bar with Pauline and Alan. Great to have a chat with Helen on the phone and now we’re chilling out with good books. Happy days! 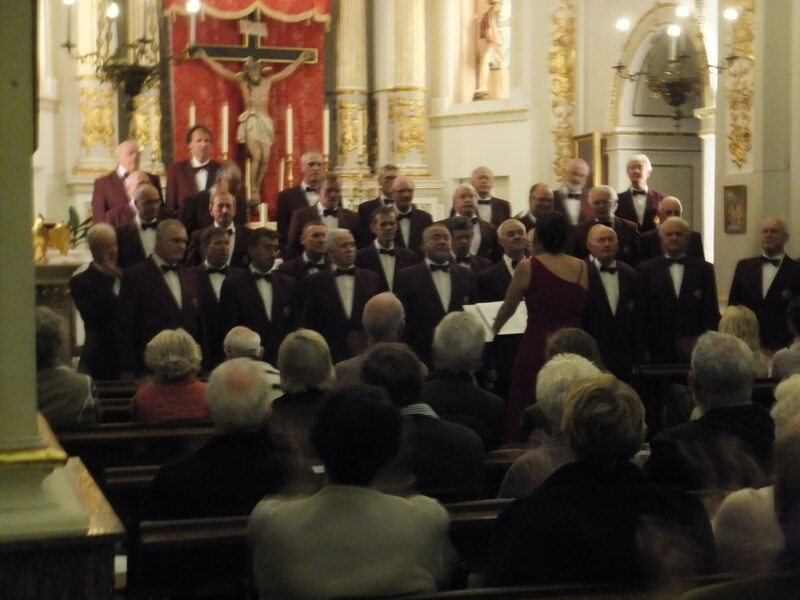 Well done to the Costa Blanca Male Voice Choir! Once again they put on a wonderful concert filled with very moving music for Easter. Well done too, to the Dolce Divas. Claire and Kirsty performed beautifully again. It was a very enjoyable evening. Andy and I went for a great Italian meal with friends afterwards. We made a big decision yesterday. 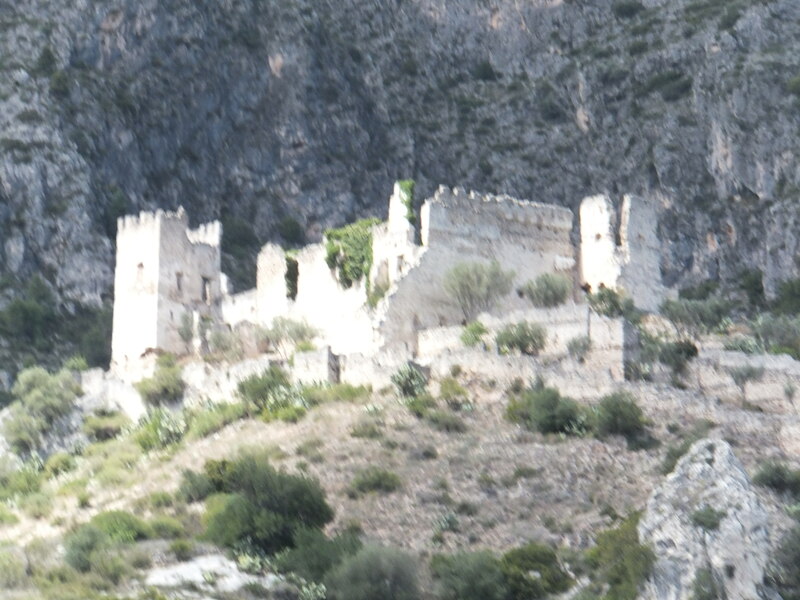 We have decided to come back to the Costa Blanca next winter.